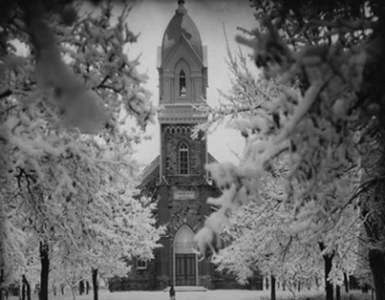 Brigham City’s second major industrial development came with the success of the sugar beet industry in Box Elder County, which took root in 1901 with the planting of beet seed in Fielding for the purpose of an official test for the Utah-Idaho Sugar Company, a company founded by the LDS Church. In 1903 the Utah-Idaho Sugar Company built a factory in Garland, and sugar beet acreage expanded rapidly.1 Lydia Walker Forsgren, ed., History of Box Elder County, (Brigham City: Daughters of Utah Pioneers, 1937), 53. With this expansion, it became evident that it would be beneficial to locate a second sugar factory to serve beet growers in the east side of the county. Sugar prices had risen dramatically with World War I underway in Europe, and Utah-Idaho Sugar Company built factories in several communities to boost production during this era. Always looking toward business growth, in 1915 the Box Elder Commercial Club “inaugurated a campaign for the establishment of a sugar factory in the near vicinity of Brigham City.”2“For a sugar factory,” Box Elder News, (Brigham City: November 18, 1915). 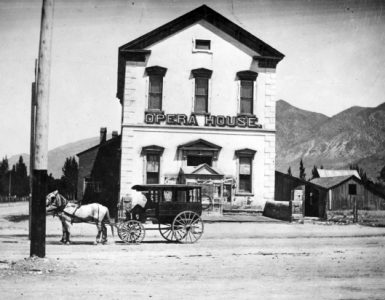 By early December the Box Elder News reported that an east side sugar factory was assured, and that officials of Utah-Idaho and Amalgamated Sugar would travel on the interurban transit to Honeyville, along with owners of the Hammond Canal, which provided water to east side farmers. Both sugar companies were represented because it was understood that two east side sugar factories would cause “ruinous competition.”3“East Side sugar factory assured,” Box Elder News, (Brigham City: December 2, 1915), 1. City officials had focused on a couple of local sites by early 1916, as J. Francis Merrell of the Commercial Club greeted a group of sugar company officials, and “a stop was made at Watery Lane and the ground gone over carefully with respect to suitability of that location for a factory site.” In less than a month, the decision was announced to locate the sugar factory on Watery Lane, a winding road running west from 600 North bordering Box Elder Creek. The city agreed to extend electricity, water mains, and fire hydrants west to the factory.4“Sugar Company selects Watery Lane site,” Box Elder News, (Brigham City: March 2, 1916), 1. Work was to begin immediately, and within a week the Box Elder News published a plea for furnished rooms, noting that 200 men involved in the construction “will need a place to sleep” and would prefer private homes.5Box Elder News, (Brigham City: March 7, 1916). Community interest was high, and within a few days it was reported that things were “humming” at the Sugar Factory and that 40 men were on-site to begin excavating for the foundation. By March 7 the steel had arrived, by April 7 they were pouring cement . . . and so forth throughout the summer.6Box Elder News, (Brigham City: March 10, 1916). Box Elder News, (Brigham City: March 21, 1916). Box Elder News, (Brigham City: April 7, 1916). 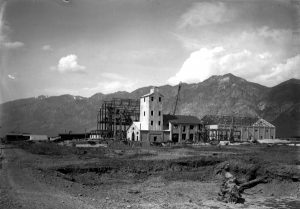 Brigham City Sugar Factory under construction, 1916. The Sugar Factory was ready to open its first campaign by mid-September, and orders were issued for farmers to begin digging beets on Monday, October 3, and “the big mill will be set in motion and begin slicing the beets three days later.”7Box Elder News, (Brigham City: September 12, 1916). Wednesday evening, the first sugar from the Brigham Sugar Factory tumbled into the bags… Since then a continuous stream of pure white granulated sugar has been dropping into the big sacking elevator…10Box Elder News, (Brigham City: October 20, 1916). Perfect sanitation was noted, in that workmen were required to dress in white. Safety wasn’t perfect, though, for by November, the first fatal accident was reported at the Sugar Factory, described rather gruesomely in the journalist style of the day.11Box Elder News, (Brigham City: November 24, 1916). The sugar factory closed down briefly at the end of the year when it was forced to suspend work because of a lack of beets, which were stacked at various beet dumps along the road, but could not be shipped due to storms and deep snow.12Box Elder News, (Brigham City: December 29, 1916). Despite that, the first season was a successful one, according to the Deseret News: “During the season, the plant has handled 50,456 tons of beets. The actual working time has been 98 days.”13Deseret News, (Salt Lake City: February 6, 1917). Honeyville, which is located under the East Side Canal of Bear River Valley, offered inducements for a factory in 1917. The farmers planted a sufficient acreage, (which was processed at Garland) and U and I purchased a suitable factory site in December, 1917. Because of the war, however, the factory could not be built in 1918. 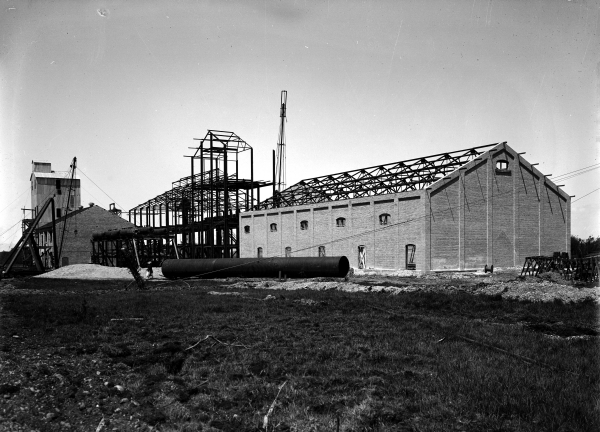 In October, 1919, ground for the factory was broken, and excavations were made for beet bins, pulp silo, and other facilities. 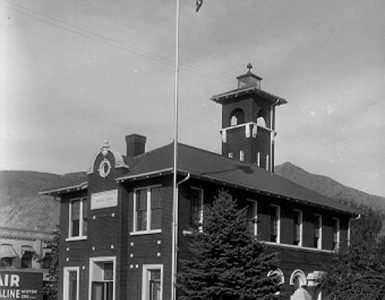 Tracking was laid into the factory grounds, and an office and boarding house were constructed.”15Leonard J. Arrington, Beet Sugar in the West – A history of the Utah-Idaho Sugar Company, (Seattle: University of Washington Press, 1891-1966), 85. The Honeyville factory was never completed, due to inadequate acreage, a “curly top” infestation, and inadequate financial resources due to the “sugar crash” of 1920-21. Located slightly west of Honeyville, the two-story office and boarding house building was later purchased by the Buddhist congregation in the area and still serves as the local Buddhist church. It was used as a dormitory for Japanese families from the West Coast during WWII. World War I put a strain on food supplies for American troops, and the sugar factory was in full production, with more acreage going into sugar beets to meet the demand. At the same time, local residents were urged to cut back on their own usage of foods by substituting corn meal for flour, observing meatless days, and giving up one loaf of bread a week to help the war effort. Although the work was seasonal, the sugar factory was a reliable source of employment for the next decade. The location of the factory brought other benefits, such as a new cement highway from Brigham to Corinne, going past the factory and promising to “aid greatly in marketing of crops” for the county.16Box Elder News, (Brigham City: July 20, 1923). The Oregon Short Line Railroad built new stockyards in the northwest part of the city, “down near the sugar factory”17Box Elder News, (Brigham City: December 14 , 1923). which took advantage of by-products used to feed livestock. Ownership of the factory went back to the Utah & Idaho Sugar Company in 1920, not affecting employment or production.18Leonard J. Arrington, Beet Sugar in the West – A history of the Utah-Idaho Sugar Company, (Seattle: University of Washington Press, 1891-1966), 84. Another great benefit of the sugar beet industry was the expansion of irrigation canals on the east side of the Bear River. The Hammond Canal, developed in 1904 to provide a steady flow from the Bear River, was extended to bring water to landowners further south and west.19Arrington, 47. The community’s economy was boosted by the sugar factory in several ways. Each spring, high school students were released to help with beet thinning. It was back-breaking labor, using a short hoe, but met with enthusiasm since it was outdoors and a source of income for families. In 1925, a total of 120 Boy Scouts participated, with 40 boys hauled to and from beet fields daily in a big passenger bus owned by the man who supervised their efforts. Local newspapers reported record runs in 1921-23, but 1924 was a dry season which brought on the blight of beet leaf hoppers, commonly known as white fly, which resulted in a lower yield than average from a blight called curly top. National events would have a considerable effect on local beet sugar production. Now that World War I was over, domestic sugar beet growers were urging higher tariffs on imported cane sugar, and new sugar beet factories were being opened in the Midwest while the over-expansion during WWI resulted in losing smaller Utah factories.20“Several new sugar beet factories,” Box Elder News, (Brigham City: December 16, 1924). Autumn 1925 again found the local sugar factory “in full operation.” When it closed for the season in January 1926, it was reported that the factory had sliced 83,000 tons of beets in 75 days; turning out 21,000 tons of pulp, and had employed 175 men. In addition to sugar, many tons of livestock feed were produced to feed the approximately 2,500 head of cattle now in the vicinity of the local factory. The report also stated that beet acreage would be increased in the coming year.21Box Elder News, (Brigham City: January 10, 1926). An announcement soon followed that Utah-Idaho Sugar had negotiated a three-year contract for $6 a ton with Utah and Idaho beet growers. Box Elder growers had voted against it, hoping for better prices.22“Beet growers contract on $6 ton,” Box Elder News, (Brigham City: February 23, 1926). Sugar prices were a national concern as well. Prices in 1925, taking into account the value of a dollar, were almost one-third lower than in 1913. Cane sugar tariffs were not adequately protecting the domestic market.23“Why destroy beat sugar industry?,Box Elder News, (Brigham City: July 27, 1926). There seemed to be little local effect. With a three-year contract in their hands, beet growers planted as usual. By May, one hundred boys were thinning beets in the vicinity of Corinne, transported to and from the fields in trucks.24Box Elder News, (Brigham City: May 18, 1926). As the harvest approached, an ominous headline in the Box Elder News of August 20, 1926, appeared: “Closing of Sugar Plant discussed,” noting that efforts of the local Chamber of Commerce had been unfavorable “following the announcement that the local sugar factory will not operate this season.”25“Closing of sugar plant discussed,” Box Elder News, (Brigham City: August 20, 1926). Sugar beets were purchased locally under the contract, but the announcement, “Sugar factories to begin work,” referred only to Utah facilities in West Jordan, Garland, and Spanish Fork.26“Sugar factories to begin work,” Box Elder News, (Brigham City: October 8, 1926). This was the beginning of the end for the Brigham City Sugar Factory, as technology made newer factories more efficient. The company was consolidating Utah operations and expanding into new areas. Local farmers continued planting beets, high school youth still helped with thinning, harvest took place, but the products went to the Garland factory. The 1931 harvest season found Utah-Idaho Sugar Company mailing out checks to farmers, a total exceeding $400,000, with work at the Garland plant continuing into the next month.27Box Elder Journal, (Brigham City: November 19, 1931). The sugar factory in Garland benefited from company consolidation and modernization, but the Brigham City facility went by the wayside. Box Elder News articles about beet crops, labor, prices, and production from 1935 mention Garland factory operations, indicating that the local plant was not in use. In September, it was announced that the beet harvest would commence on October 7, the Garland factory would open on October 10, and would employ about 300 men.28Box Elder News, (Brigham City: September 27, 1935). The Brigham City, Utah, factory was built by E. H. Dyer & Company in 1916. With a capacity of 500 tons the factory cost the company only $425,000 because the equipment in the ‘beet end’ of the factory came from the old cutting station at Parker, Idaho. The capacity of the factory was increased to 650 tons during World War I and to 900 tons by the early 1920s. During its first campaign 506 growers in the Brigham City district planed 5,613 acres, producing 70,253 tons of beets which were converted into 124,255 bags of sugar. In March 1917 the factory was sold at cost to the Amalgamated Sugar Company, which operated it during the years 1917-1919. The plan was reacquired by U and I in 1920. The factory reached a peak production of 246,060 bags of sugar in 1923. Owing to Curly Top this dropped to only 57,362 bags in 1924. The factory was inactive in 1926, 1930-32, and 1934-1936. After a short campaign in 1937, the factory was permanently closed. The factory was dismantled in 1943. At that time its capacity was 1,300 tons. In 12 years of intermittent operation by U and I, the Brigham City factory manufactured 1,797,731 100-pound bags of sugar.”29Leonard J. Arrington, Beet Sugar in the West – A history of the Utah-Idaho Sugar Company, (Seattle: University of Washington Press, 1891-1966), 190. 1943 was a time when many unused factories, railroad tracks, etc. were dismantled for use of reclaimed steel for the War Effort. The factory’s final closure was another blow to the local economy, but not unanticipated. Since it had fallen into unattractive disrepair, its removal was hailed with nostalgia but little sadness, since patriotic residents assumed during the 1940s that its salvaged steel would be put to use in arming the Allied Forces of World War II. Note that the October 3, 1916 issue of the Box Elder News includes some photos of the factory.